Allison May Rosen comes to 3D Communications following more than two decades of experience working in the private and public sectors. Before joining 3D, Allison worked for Chandler Chicco, a global healthcare communications agency, where she ran its DC office and led programs spanning public health and healthcare, on topics ranging from diabetes and obesity to oncology and mental health. Serving as a strategic communications counselor, content development specialist, and lead media trainer across the agency’s global network, Allison earned a reputation for her approachable, hands-on style that delivered results. She excelled at helping clients develop sound communications strategies, creating messages that mattered, and improving the performance and confidence of speakers and presenters at all experience levels. At 3D, Allison May Rosen will serve as a Communications Lead for its FDA Advisory Committee projects, working with clients to synthesize their science for FDA audiences. 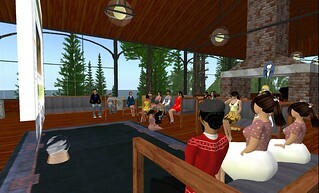 In addition, Allison will conduct speaker and media training for 3D Communications’ clients. Previously, Allison May Rosen served as vice president for public affairs at the Association for Competitive Technology and press secretary for the federal government’s Overseas Private Investment Corporation. Allison began her career working for Governor Ann Richards at the Texas Office of State-Federal Relations. An award-winning communicator, Allison May Rosen is a guest lecturer at the George Washington University, received the Healthcare Businesswomen’s Association Rising Star award and was a founding board member of GlobalWIN, the Global Women’s Innovation Network. She is a graduate of Syracuse University’s S.I. Newhouse School of Public Communications. 3D Communications is a strategic communications firm that prepares companies for high-stakes regulatory presentations, meetings, and media interviews. Our expertise lies in transforming highly complex information into clear and persuasive communications. 3D Communications’ team of seasoned experts use a proven process, based on proprietary tools, to help companies succeed. Our services include strategic analysis, messaging, content development, speaker and media training, crisis management, and preparation for early and late-stage regulatory communications. For more information, visit http://www.3dcommunications.us.